The Sales and Services Tax (SST) will be re-introduced in September to make up for the shortfall in government revenue. Consumers can now enjoy a short "tax holiday" before SST kicks in. Many are expecting prices of goods, specifically cars and smartphones to decline. 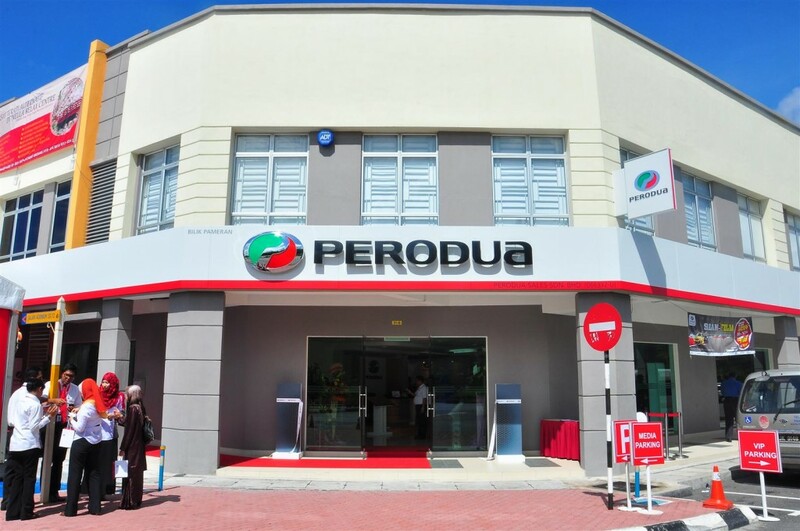 Perodua is one of the many companies looking to capitalise on this three-month period. "As the government has announced that the sales and services tax (SST) will return in September, we encourage all Malaysians to capitalise on this three-month tax holiday," said Perodua Sales Sdn Bhd managing director Datuk Dr Zahari Husin as quoted by The Edge Markets. 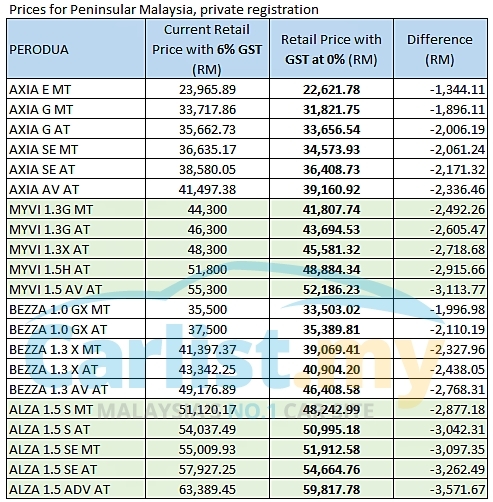 With the zero-rated GST in place, Perodua noted that it will be putting an end to the GST reimbursement for purchase of its new vehicles or spare parts, as well as services at its centres, which was introduced on 18 May. The biggest difference is with the Alza 1.5 Advanced auto. Priced before this at RM63,389.45, the car will now go for RM58,817.78 with GST set at zero, making for a RM3,571.67 reduction. For more information, drop by Perodua's official website or give them a call at 1800-88-6600﻿.